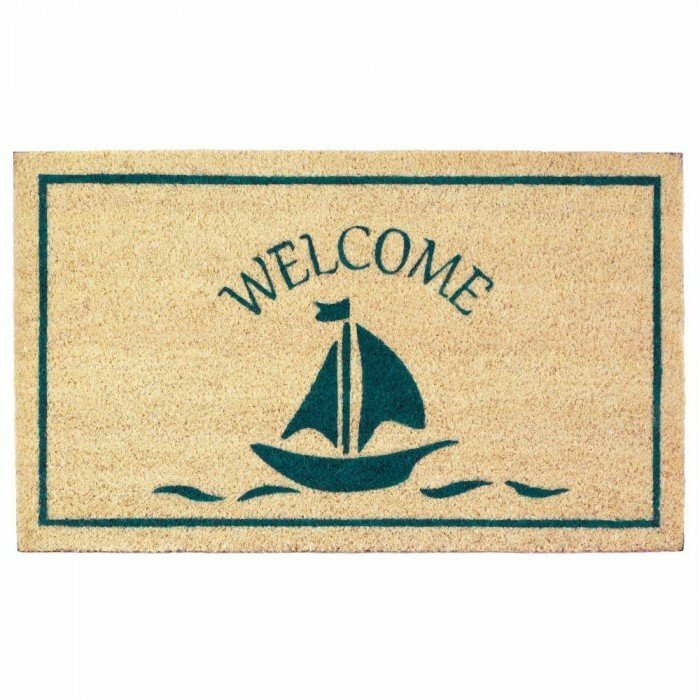 SAILBOAT WELCOME MAT by Summerfield Terrace home decor, jewelry, decor, decorations, electronics, fountains, floor mats, art glass, vases, garden essentials, fireplace screens. Welcome your friends with seaside style! This charming sailboat welcome mat features a teal design with a single sailboat out on the waves. It will look great outside your door, whether you live steps from the beach or not. Material(s): COIR PVC.